Finally, an article that makes me regret not learning Korean sooner! 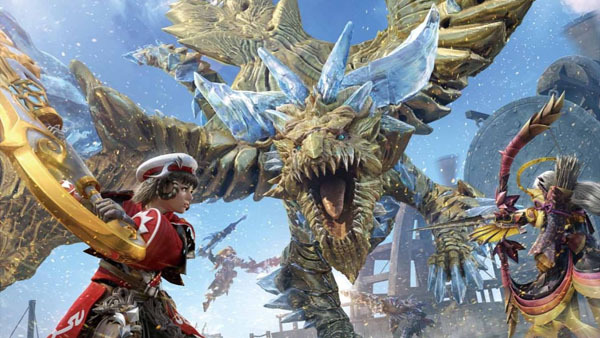 Monster Hunter Frontier Online 2 is in development for PlayStation 4 and PC, if an Inven article is anything to go by. According to a Japanese translation of their article (forgive me, dear readers, my Asian language abilities start and stop at Japanese exclusively), Inven has been following the story for a little over a year and in addition to target platforms, it’s believed that the game is set for release as early as 2016 (although the Japanese translation indicates that it could shift to a later time frame). It is believed that the game is being developed in Unreal Engine 4, and that the target market is currently Japan, with other regions potentially being added later. The game is thought to be one of two “main projects” being worked on at Capcom Korea, the development team for Monster Hunter Frontier Online 2 allegedly including veterans from NCSOFT. Lending apparent credence to the rumor are a series of job postings on Capcom Korea’s site, including one asking for a “client/server programmer“. A reference to “the next Monster Hunter game” was also apparently included at least at one point, though, again, given the Gematsu staff’s lack of Korean fluency, that information can’t be confirmed or denied at this time. We can note, however, that the first three job listings present as of this writing are all related to the Monster Hunter franchise in different capacities. Thanks, Hachima Kikou and Kultur.